Consumers are very aware of trust marks and understand what they represent. 78 percent of online shoppers say that a seal indicates that their information is secure. Only one in five shoppers did not know what purpose trust marks served. The overwhelming majority of consumers feel it is important for sites to include a trust mark. 88 percent of U.S. online shoppers say it is important for an e-commerce site to include a trustmark of some kind on its site. 79 percent of online shoppers expect to see a trust mark displayed on a Web site's home page. The majority of shoppers also expect to see trust marks displayed on the page where personal information is entered and where the final transaction is completed. 71 percent of online consumers shop only at sites they know and trust, while 38 percent of online shoppers will only make purchases through sites that include a trust mark. Shoppers not only recognize and value third-party trust marks, but the presence of a trust mark can also persuade them to complete the purchase. Nearly 70 percent of online shoppers have terminated an online order because they did not "trust" the transaction. In those cases, 53 percent indicated that the presence of a seal would have likely prevented the termination. All rights reserved. All trademarks displayed on this web site are the exclusive property of the respective holders. 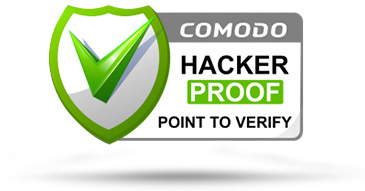 © Comodo Group, Inc. .